I'm thrilled when a reader sends me jewellery reno photos, especially those involving pearls, but really, any reno. It's my reward for writing a non-monetized blog, and others' experiences educate me. Thanks to Leslie, an especially edifying reno is in the window today. 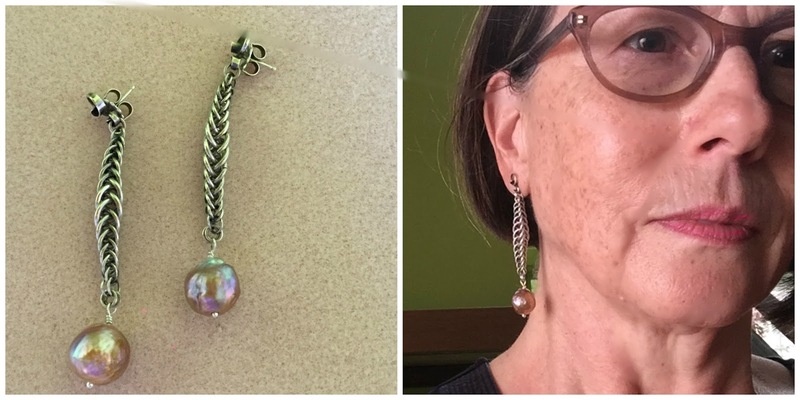 Leslie's original earrings, handmade by a Seattle-area artisan, had a small dyed purple pearl dangling from braided silver wirework (centre, below.) A versatile earring, but the scale of the pearl is bitsy for a grown woman and they have little presence. To be fair, the small pearls probably cost the maker a couple of dollars, but when you upgrade the pearl, the whole piece changes. Leslie found 14mm Chinese freshwater baroques that flash mauve and copper on sale at Kojima Company, and bought the pair for about $80. Notice the difference in lustre! Personally, if I never see another Allen key again, I'll be happy. But when it comes to jewellery, I just love that Leslie restyled her earrings herself! 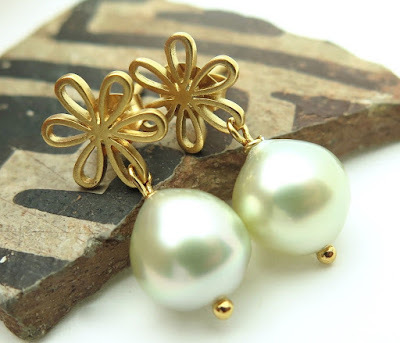 Anyway, look at these Burmese South Sea cream-green pearls made into earrings (BIN price, $US 119.) The Myanmar pearl industry hit the skids in the '60s, but is coming back; the best of the limited production now available are magical. 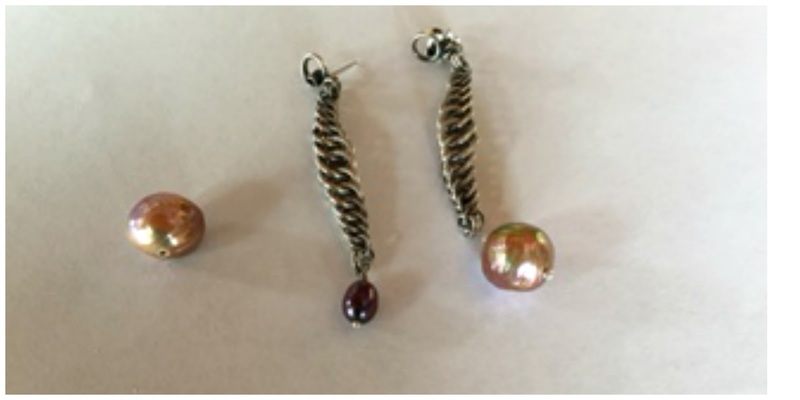 That renovation is amazing - I am always so impressed by people who can do their own beading and jewelry work. And yes, the scale of the new pearls is much better with the weight of the chain. Truly lovely and yes, so much better with the larger, more lustrous pearls.